The River Flag symbolises Tartu as a water and river city and enables local people commuting by water to indicate their affiliation. 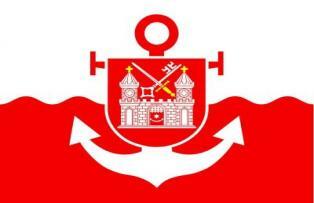 Boats using a harbour located in the city as their home port and harbour buildings or facilities located within the administrative territory of Tartu usually fly the River Flag. 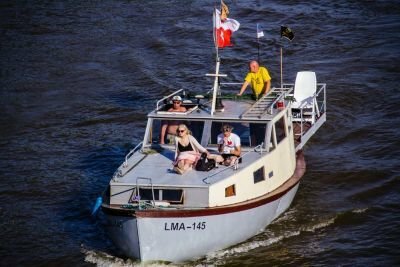 The flag can also be raised to celebrate events and special occasions related to shipping, the Emajõgi River and the city as well as aboard ships visiting Tartu. The flag was presented for the first time in August 2012 during the Emajõgi River Festival. The people of Tartu took to using the flag as a symbol of the city, and in 2014 Tartu City Council formally approved its status as such.